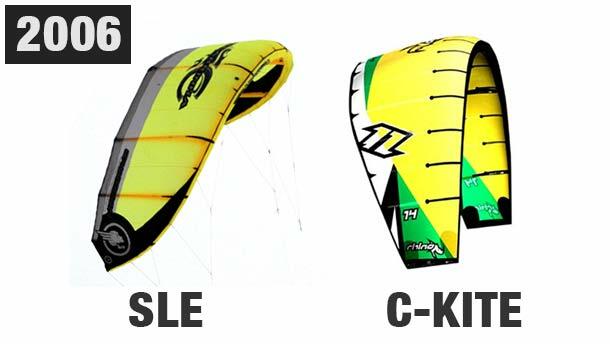 This new style of kite with the swept back wing tips, flatter shape and bridles were designed to give the kite massive de-power, reducing the amount of kites needed to cover a certain wind range, very easy water re-launch and an overall improvement in safety. It’s clear to see that with the development of SLE kites the sport became far more accessible and allowed many newcomers easier access to the sport. 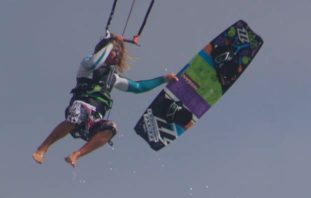 It’s hard to say anything directly negative about this style of kite, in fact it probably is still the best thing to happen to kitesurfing but with the extra de-power, for many kiters some basic board skills have been lost. 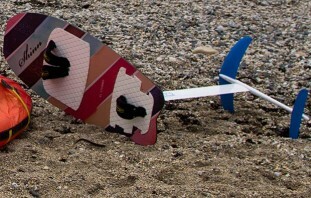 When you learnt on a C-kite, strong board skills were needed from the start. 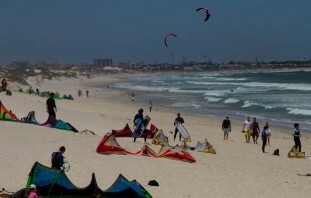 The minimal amount of de-power, available on these kites, meant riders had to control their speed by using the board. Any gust that hit the kite would have to be dealt with by translating that increase in powered down through the board, accelerating you forward increasing your board speed, driving the board upwind to kill the power or wiping out! Whilst with an SLE the tendency is for riders to rely primarily on their de-power strop, simply sheeting out whenever there is to much power. Its not uncommon to seeing inexperienced SLE riders riding along continually sheeting in and out in reaction to changes in the wind and water start, as they try and stay in control. This has a big impact on the development of a riders board skills which will hinder thier ability to ride upwind, achieve higher jumps or simply ride along at fastest speeds. So what can you do to hone your board skills? If you are constantly fully sheeting out your bar you may need to trim your kite, making sure all 4 lines are under perfect tension when the bar is 2-4 inches away from your chicken loop. The bar will fly at it’s best when all 4 lines are under equal tension. Having this bite point closer to you allows you to take a better stance, stay balanced over the board and allow you to push more power through your back foot. Play around with foot pressure on your board, bring your kite slightly lower in the edge of the wind window and drive as much power through your board as you can then come of your edge and see the difference in the angle you go upwind. You may find this a bit hard on the legs at first but after a couple of times you will be able to see how you can drive all the power through the board without de-powering the kite. If you are feeling confident or happy with you kite control try using a stopper ball which will restrict the bar from being able sheet fully out, Be aware if you do this you may not have full de-power on demand. 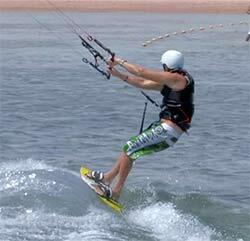 Riding at a cable park, with your kiteboard or a wakeboard, can give you the opportunity to hone your board skills. Play around with edging your board hard in before the turns allowing you to carry speed round the track. A cable is similar to riding unhooked, with no de-power in your kite, thus putting all the enhasis on body position and board control. 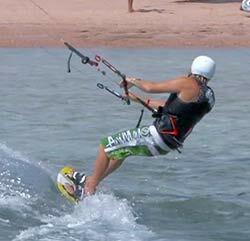 Many pro riders practise tricks behind a cable and recommend it as a great zero wind alternative. See our video with Aaron Hadlow discussing his how he uses the cable part to train. 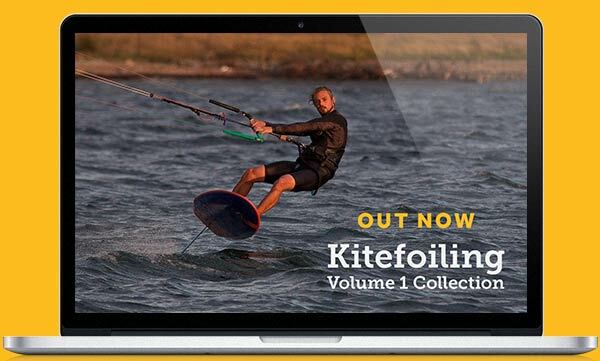 Overall if you are riding an SLE (99% of the kiters these days) and are struggling to do high jumps or ride fast upwind, be aware of what you are doing with your bar, allow your shoulders to sit back and really push the power of the kite through your back foot. Let us know how you get on and if you find this helps you to edge harder, ride faster and boost higher!